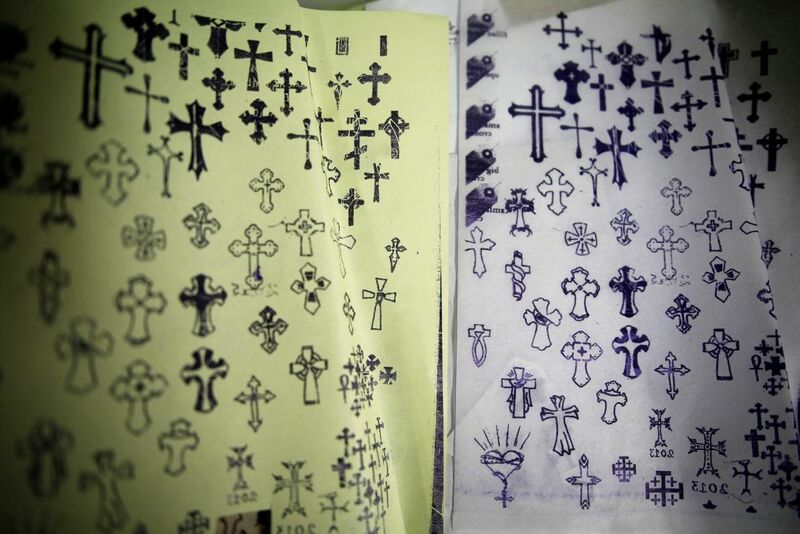 A small shop in the heart of Jerusalem's walled Old City offers Christian pilgrims indelible memories of their visit to the holy city: tattoos with religious designs unchanged for centuries. Blending modern technology with tradition, the Razzouk family uses the Internet to draw clients to their business in a place that is sacred to Christians, Jews and Muslims. Noel Heavey, 54, from Ireland, never thought he would want a tattoo. But he said he stumbled on the Razzouks' website and "was just really taken by it". So on his first trip to Jerusalem, as the city's Christian Quarter began to prepare for Christmas, he chose a pattern with clean and simple lines. 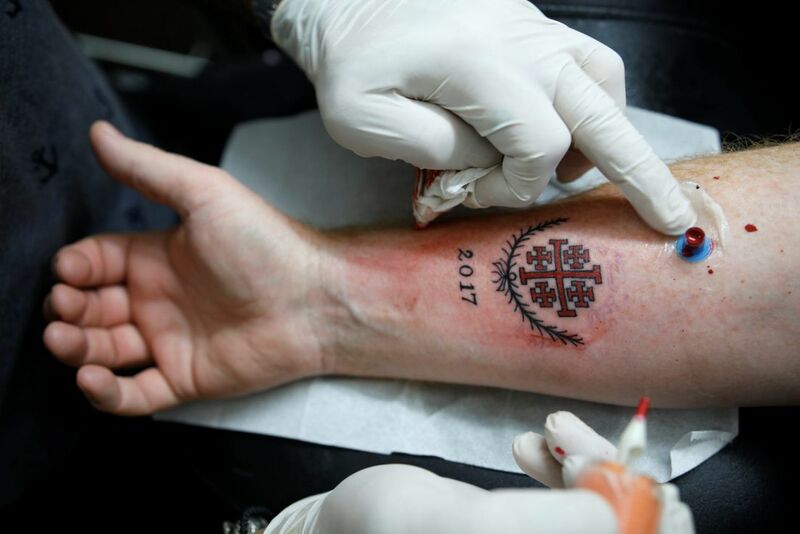 It was a black and red Jerusalem cross, made up of one central cross and four smaller ones, adorned with palm trees and the number 2017, representing his pilgrimage and the year his mother died. 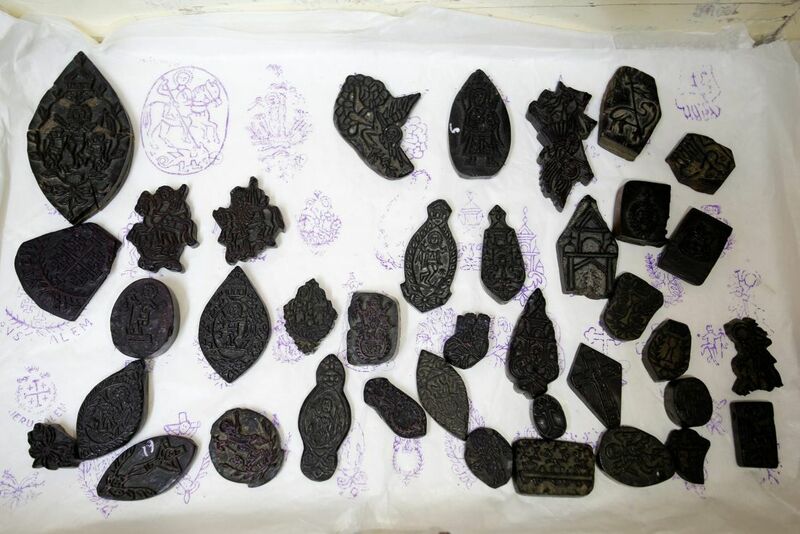 The Razzouks began their craft in Egypt, where fellow Coptic Christians traditionally mark their wrists with a cross. Proprietor Wassim Razzouk, 44, said he resisted going into the family business for many years. But now the motorcycle-riding owner is teaching the art of tattooing to his 14-year-old son. Some of the shop's designs date back to Crusader times, but Razzouk can customise ancient patterns to fit client preferences. "It’s something that you will never regret, because you are proud of it. And it's the traditional thing to do," said Razzouk, whose own collection of tattoos bears witness to that conviction.